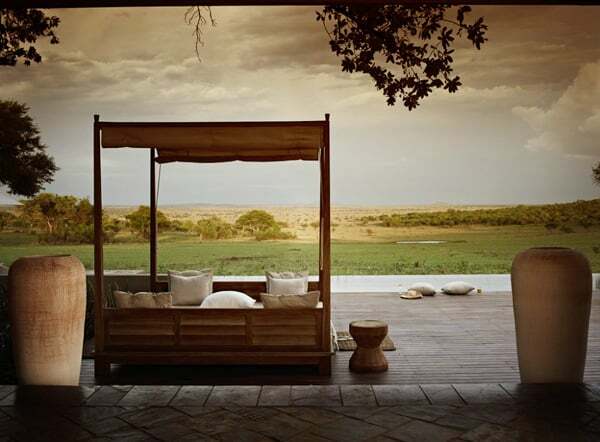 Singita Serengeti House, an exclusive-use retreat designed for families and friends, has opened in the 350,000-acre Grumeti Reserves in the heart of the Serengeti in northern Tanzania. 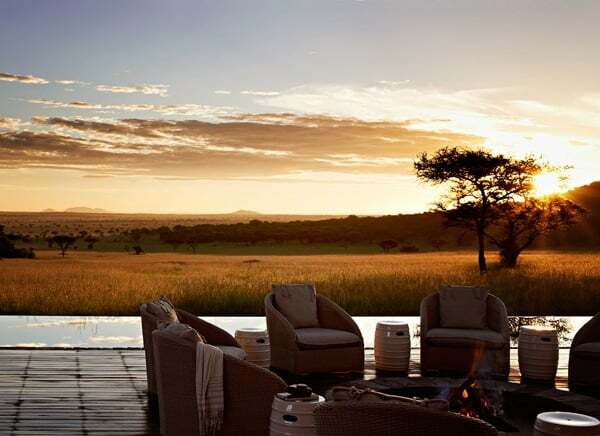 Located on the slopes of Sasakwa Hill with breathtaking vistas of the endless, open plains of the Serengeti, the house is Singita’s response to a growing demand from discerning travelers for privacy and flexibility. 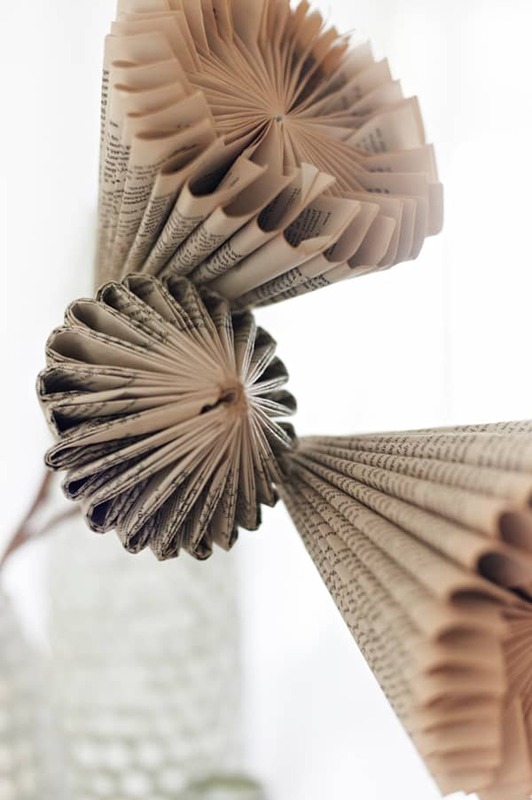 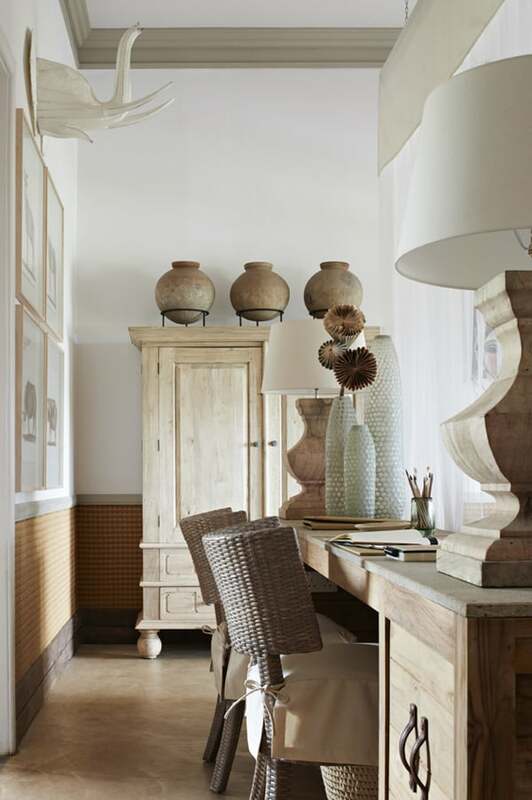 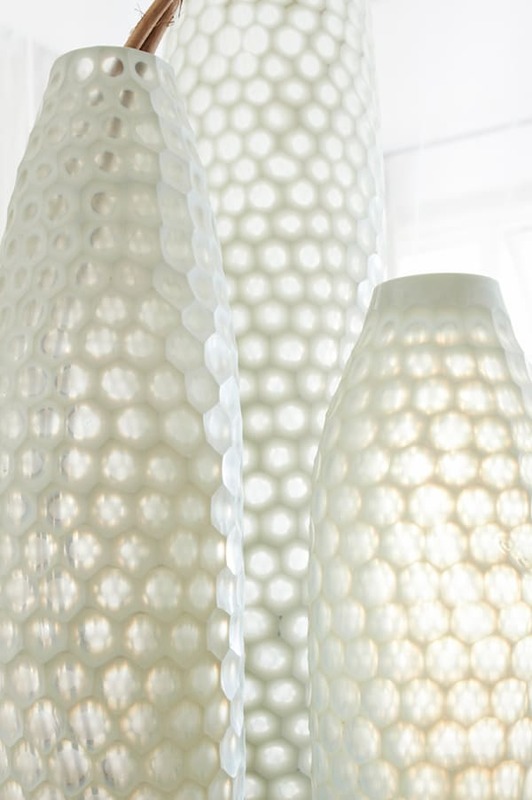 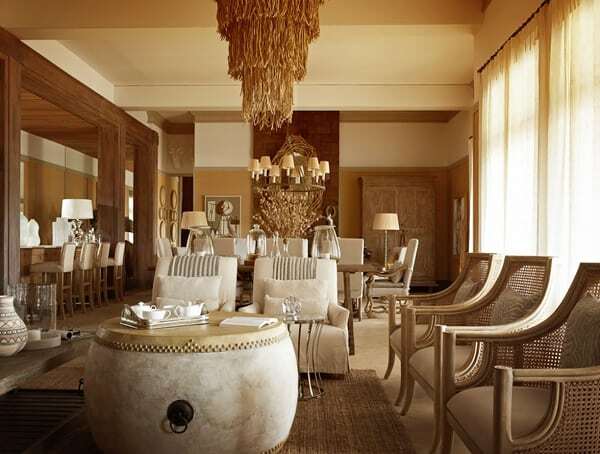 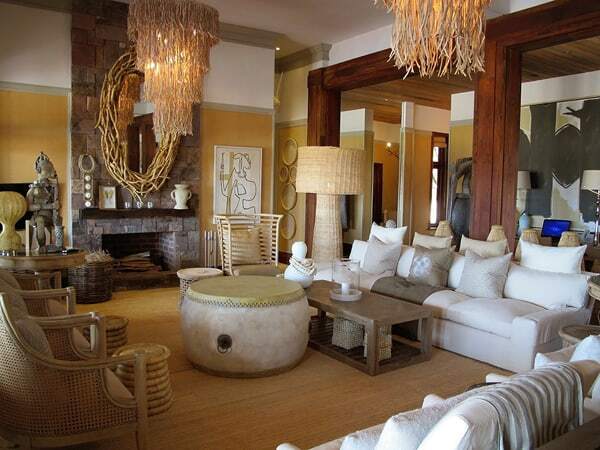 Top South Africa design team, Cécile & Boyd’s, crafted the exquisite interiors. 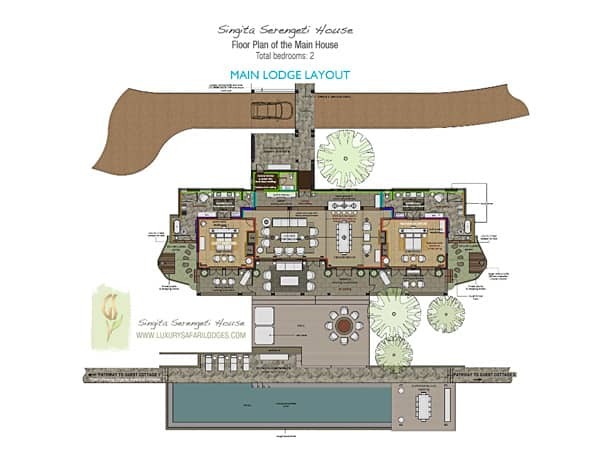 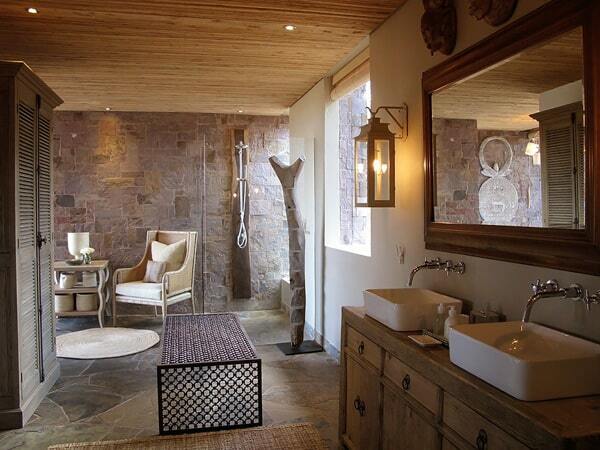 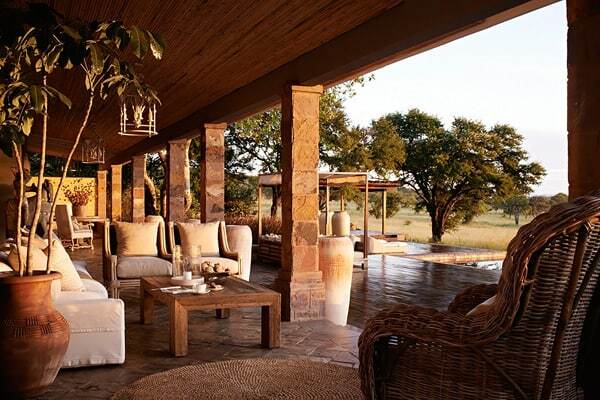 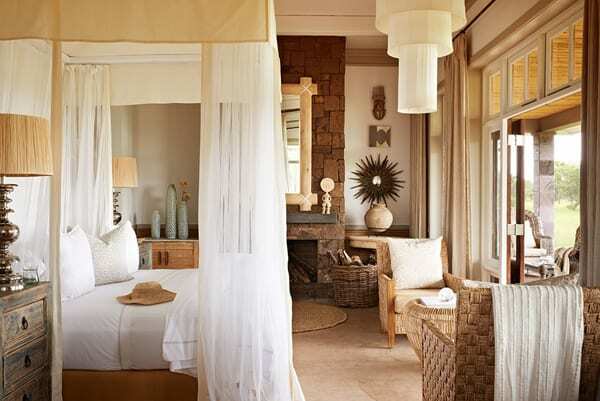 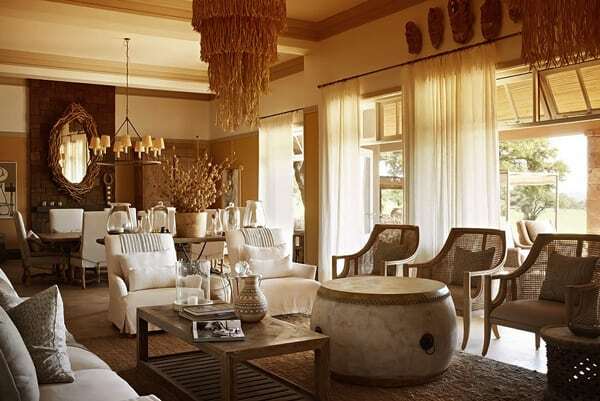 While what lies outside is rather spectacular, the interiors of Singita Serengeti House are also something to behold. 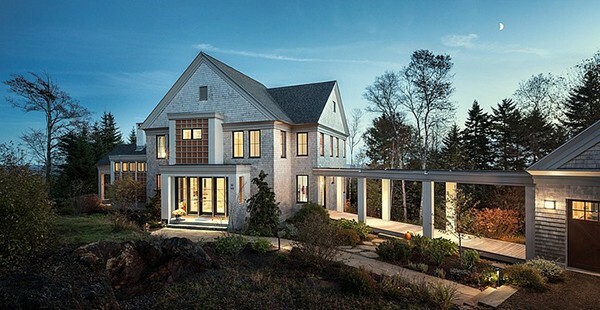 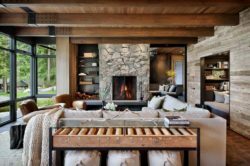 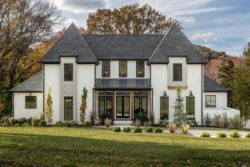 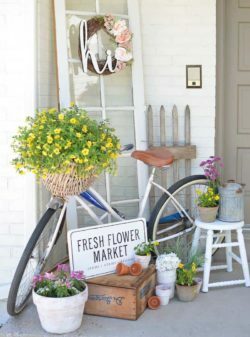 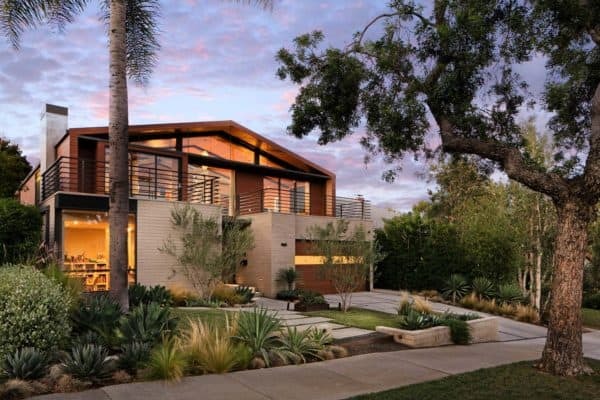 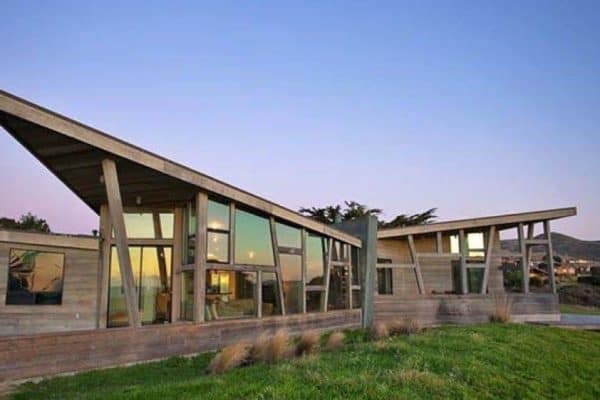 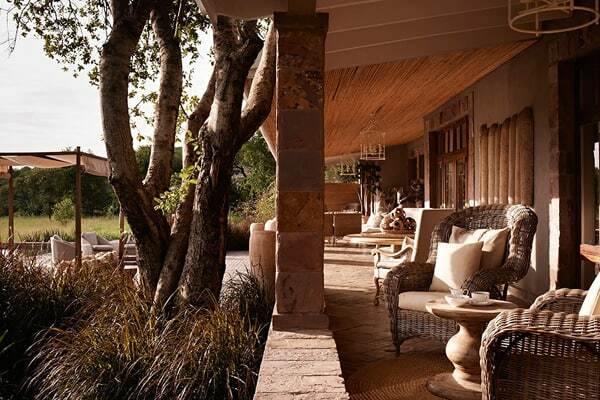 Throughout the house, ample indoor and outdoor lounging and dining areas, all with uninterrupted views, provide relaxing spaces for guests to truly immerse themselves in the beauty of the surrounding landscape while enjoying each other’s company. 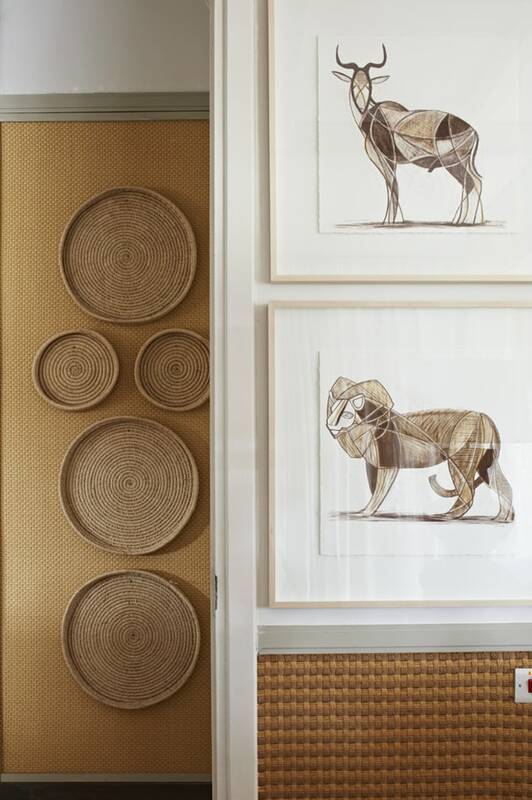 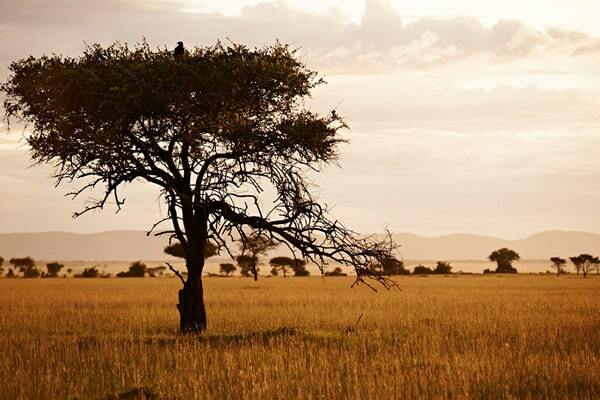 A cool neutral palette of subtle, sun-bleached colors mimics the Serengeti grass plains, bringing the outside in. 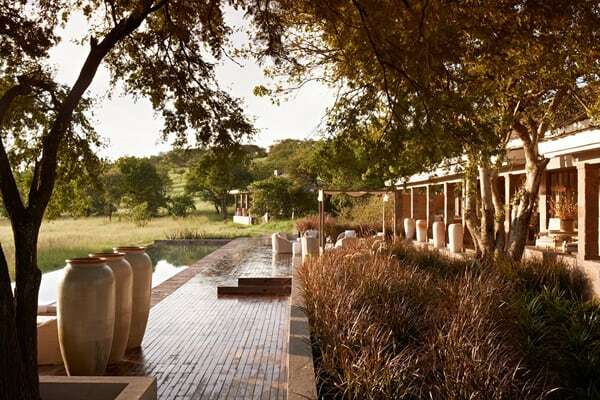 Early morning and late-afternoon game drives may be interspersed with vigorous swims or lazing around the pool with a good book, a game of tennis, a cooking lesson in the private kitchen from the resident chef, spa treatments or mountain biking. 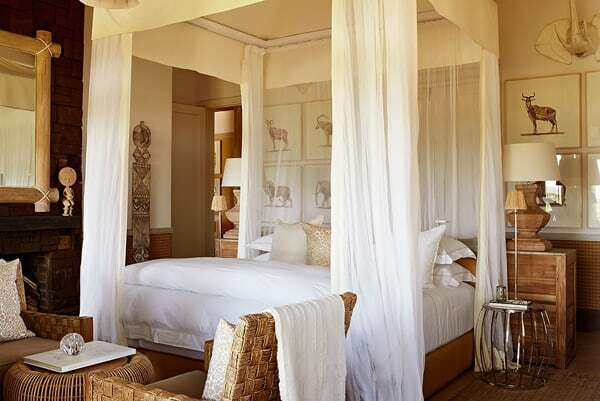 Making it up as one goes along is part of the magic of taking up residence at Singita Serengeti House. 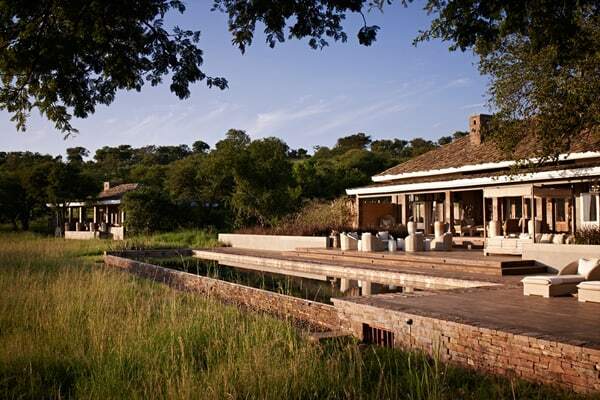 There is a waterhole right in front of the house, which is a favorite drinking spot for general plains game as well as a breeding herd of elephant. 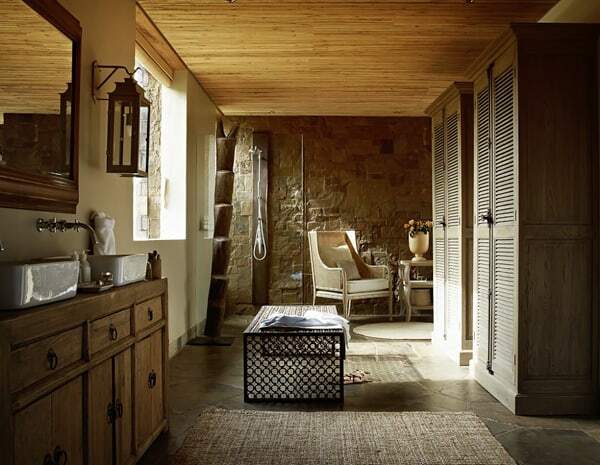 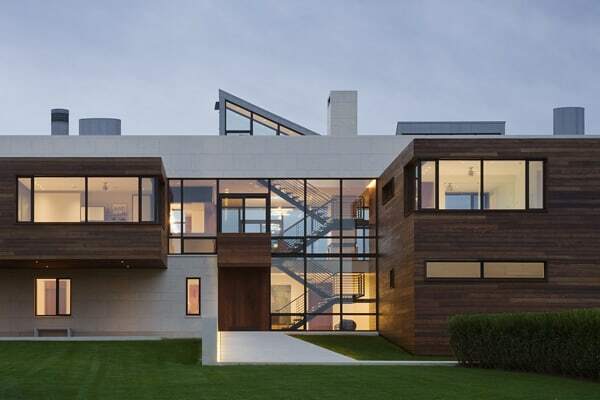 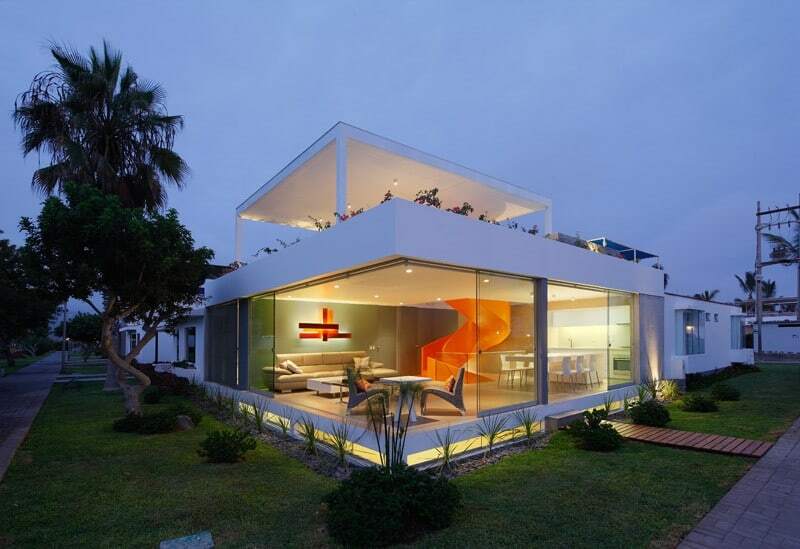 Mirror is used throughout the house to maximize light and space. 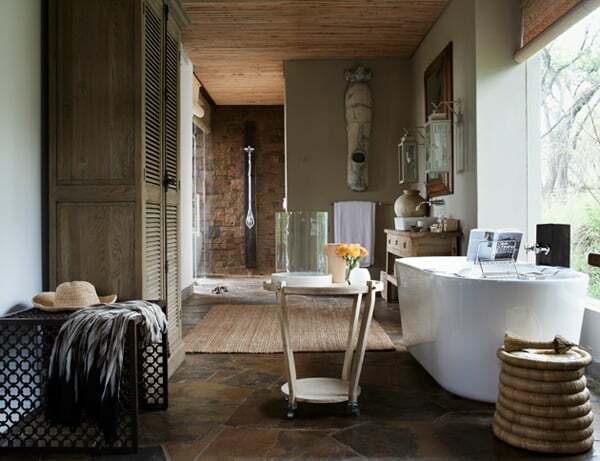 Humble materials in natural fibres, rattan, grass matting, polished cement floors, bleached, raw timbers and local stones bring an honest, earthy feel to the understatedly glamorous, boldly proportioned, light-saturated rooms curated with a modern African art collection by Kurt Pio and Sarah Pratt, artifacts and objects, and anthropologically relevant tribal sculpture. 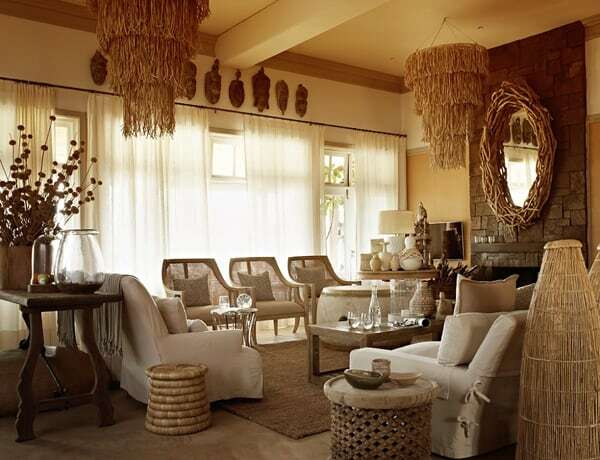 All the decorative pieces were designed and commissioned or sourced by Cécile & Boyd’s, including witty eye-catching paper-mâché hunting trophies and leather thong chandeliers inspired by Masai skirts. 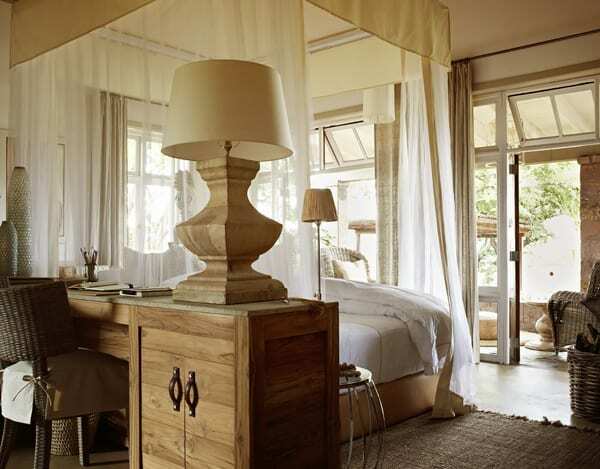 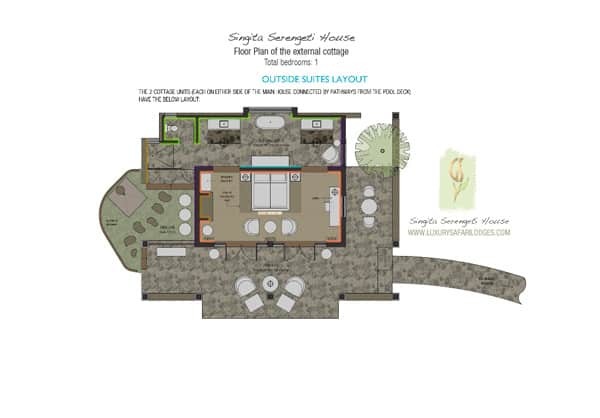 All the suites have spacious bathrooms designed as luxurious extensions to the bedroom and living areas, with outdoor showers and private terraces.